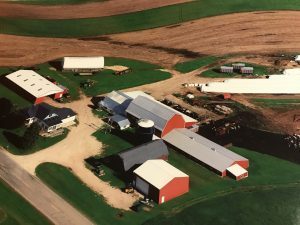 Each year Kewaunee County Breakfast on the Farm is hosted by a different family farm – learn more about our 2017 host farm’s history! 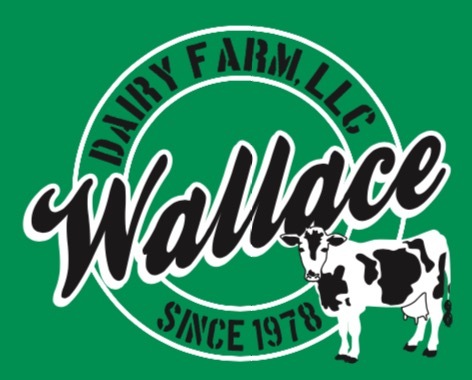 You can find Wallace Dairy Farm, LLC on Facebook! 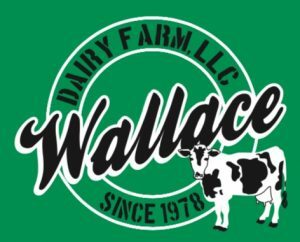 Paul Wallace, Jr. is a 4th generation dairy farmer – born and raised on a dairy farm, he has always enjoyed working with cattle and being on the farm. FAMILY FARM HISTORY The original Wallace Homestead, located in Darboy, began in 1856. Paul’s father (Paul, Sr.), the 3rd of 9 children, was raised there. After working 3-4 years out of high school, he then purchased a small dairy farm in Forest Junction (Brillion area) and operated it while working at the local paper mill. In 1978, when Paul, Jr. was 5 years old, the family relocated to the present-day farm. 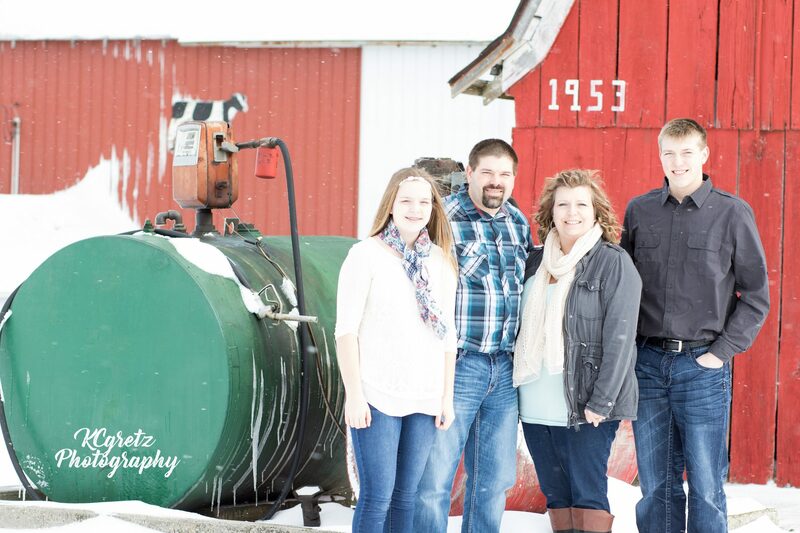 Together Paul Jr., his father (Paul, Sr.), mother (Cathy), and sister (Kim) operated the dairy farm. With the closest relatives over an hour away, the family depended on one another, as well as on the relationships built with neighbors and local businesses to continue building the farm. Paul Jr.’s grandfather would travel to the farm to help when time permitted, especially during corn chopping season. Paul, Jr. used his own money to purchase first registered Holstein for $1,200 when he was 14 years old. He used this animal to start building his herd of registered dairy cattle. To date, he still has 2 descendants of his first Holstein. While working for his parents, Paul helped focus on improving the genetic base of the herd by selecting specific production traits. Paul built his own cattle numbers while still working for his parents and helped increase the initial herd of 50 to the present-day 100. Paul, Jr. made the initial purchase of cattle and equipment and took over full operation in early 2013. 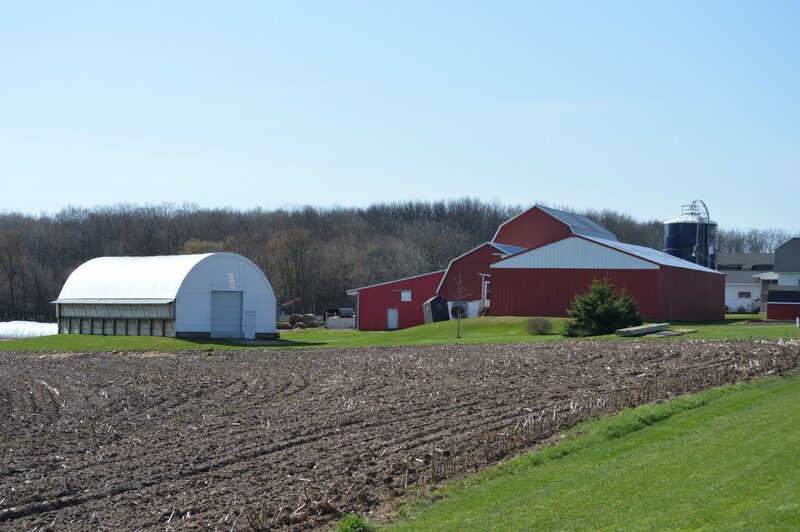 One of the biggest challenges, particularly after the change in ownership, is that Paul, Jr. and family live in Algoma, almost 10 miles from the farm itself. Not being on-site is challenging as they need to rely on his parents for assistance when animals are calving, or if heifers escape. Bad weather also factors in as the cows still need to be milked and fed twice a day regardless of road conditions. As of early April 2017, the Paul, Jr. family is looking forward to living on-site – as they’ve closed on the house, barn, building, and some acreage. This nearly completes the 2nd phase of the purchase plan. The family is now working hard to complete some renovations to make the farmhouse their own while Paul’s parents are working to complete their new home (north of the operation). Everyone hopes to be settled into their new homes by Fall of this year. While the farm has always been accessible to Paul, Jr. and family, being within steps versus 10 miles will make a big difference! GROWTH & EDUCATION Paul, Jr. attended Lakeshore Technical College, earning a certificate in Dairy Herd Management. 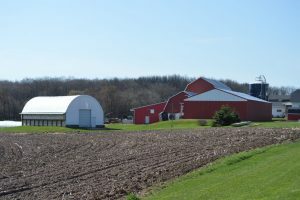 After completion, one of the requirements before he could return to his family’s farm was to work on another dairy for a minimum of one year. He worked for a then neighbor, Mike Pavich. While Paul always had an interest in genetics and breeding, it was here that he gained more knowledge and contacts which helped as he continued to build his herd. Eventually he applied the same ideas to his parents’ herd. Working together, Paul, Sr. and Paul, Jr. complement one another, as Paul, Sr.’s strengths are crop and field work, while Paul, Jr.’s strengths are cattle. Together with his parents, Paul, Jr. has been able to grow the farm, build the genetic base of the herd, and find more cost-effective ways to operate the dairy. THE FAMILY Paul, Jr.’s wife Corrina works as a special education aide for the Algoma School District. She has a degree in business and is taking additional coursework to obtain her elementary education licensure. The Wallace’s children attend Algoma High School. Aidan is a junior involved in band, football, basketball, and track. Emersyn is a freshman involved in band, volleyball, basketball and softball. The family are members of St. Paul’s Lutheran Church in Algoma. Over the last few years, the farm has been able to employ several hard working and reliable individuals to help keep the farm operating efficiently. Paul has confidence in these individuals which allows him more flexibility to attend family events and take occasional time off. Present employees include: Connor Buhr, Max Schoening, Jordan Schiesser, Casey Stangel, Matthew Bluett, and Casey Nelson. Farming is a family affair. Paul’s dad remains involved on a nearly daily basis. Aidan is a regular fixture at the farm and Corrina and Emersyn contribute as well. Cathy can often be seen cutting lawn or supplying the guys with fresh baked goods. Additionally, Paul’s sister and some her children (Morgan, Bryce & Graham) still help from time to time along with Corrina’s parents Chuck and Jenny Hucek. Two of the dairy’s employees have been involved at the farm since they were little (nephew, Connor and family friend Max). The Wallace kids along with friends and family have shown dairy cattle at the Kewaunee County Fair throughout the years. Come make memories with us, sign up to volunteer at Kewaunee County Breakfast on the Farm – enjoy a delicious dairy brunch, volunteers eat free!